Every year, the Cottonwood Fire Department presents an award to the Cottonwood business that provides the safest environment for its staff and customers. 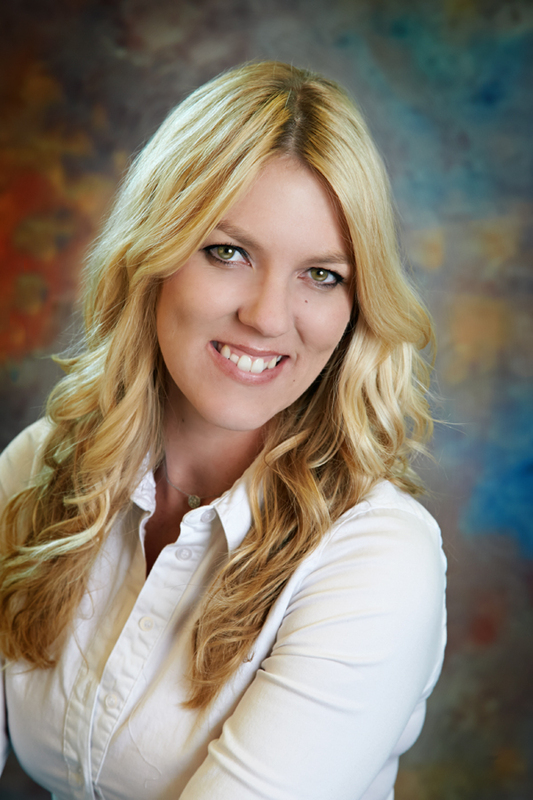 The smiling face receiving the award this year is none other than our own Laura Robinson, the director of Quality Management for Spectrum Healthcare. 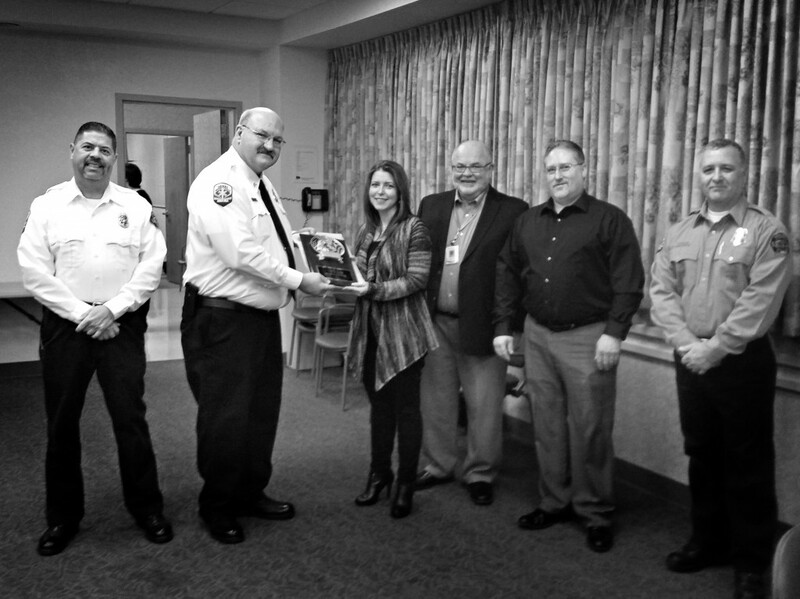 It was presented to Spectrum at the Cottonwood Chamber of Commerce January meeting and we couldn’t be prouder. Thank you to the dedicated men and women of the Cottonwood Fire Department, and thank you to Laura and to every one of our Spectrum Team for making Spectrum not only a great place to work, but a safe place. 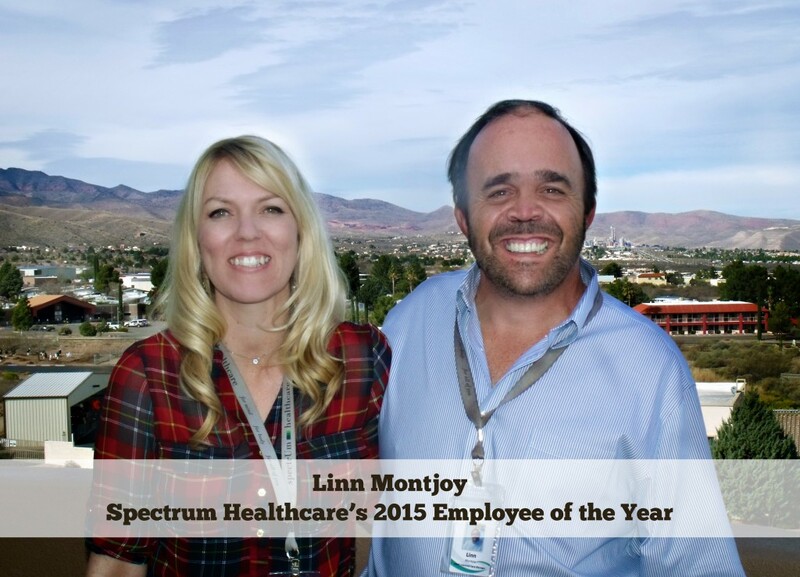 Congratulations to Linn Montjoy, Spectrum Healthcare’s 2015 Employee of the Year! Linn is the Team Lead on the Intensive Care Management Team for adult clients with serious mental illness and substance use disorders. He leads a team of eight who help high risk clients with wrap around services. Also nominated for Employee of the Year and receiving Peer Recognition Awards were Amy Stanley, Member Services Administrator, Eric Brandenburg IT Help Desk Clerk, Shawn Evans, Facilities Custodian, Rob Petsche, Children’s Clinical Director, and Mimi Evans, Customer Service Representative. We are so proud of our team and their dedication to their patients and community! Would you know how to detect the signs of a stroke? Most people don’t, and yet strokes are the 5th highest cause of death in the United States. 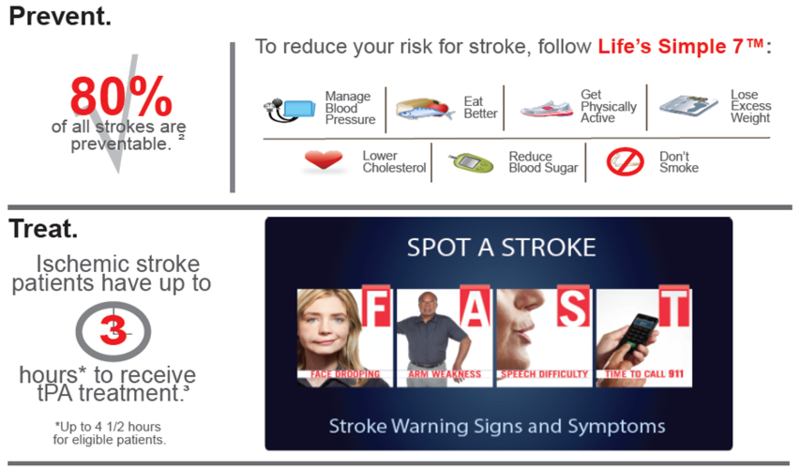 Your ability to spot a stroke and then take action means the difference between life and death. The American Heart/Stroke Association has created an easy to understand graphic and some catchy tunes to help you recognize and act should a stroke occur. The good news is that 80% of all strokes are preventable by enacting easy changes to create a healthier lifestyle. So read, sing, learn and make a difference. say you don’t want to. say you’d rather not spend time doing it. say there are other things you want to do. say that the hard work scares you. say that you don’t want to deal with the obstacles in your path. say that you’re unsure or intimidated or nervous. Because that’s simply not true. You CAN. Quite often, when a company introduces a new CEO, there is a huge introduction, handshakes and exchanging of names. It takes weeks for the newly appointed CEO to become comfortable in the new surroundings, learn everyone’s names, and fully grasp the flow and dynamics of the organization. But not at Spectrum Healthcare, because we understand that the person best suited to take command of the wheel and help navigate the organization is the same person who has served on the ship; the person who knows every nook and cranny of the vessel and has worked alongside her fellow crew for years to create the best possible experience for her passengers. That person is April Razo and it is with great excitement that we announce her new position as Chief Executive Officer of Spectrum Healthcare. Q: Why did you enter the healthcare field? A: People. I suppose that sounds like a really simple answer, but it’s true. I have always been fascinated with how people work, from the body to the brain. And the more I studied physical healthcare, the more I became intrigued with the mind and how it impacts our behaviors and our interactions with one another. It came easy to me, because I really loved it. I found I have good clinical intuition and I really enjoyed helping couples and families get better. It became my purpose. My clinical training has a lot to do with how I manage people as well; it’s all the same principles. People react and behave certain ways for a reason; it helps to have an understanding of what drives that. I could not imagine doing anything else. Q: What do you love to do when you’re not busy working at Spectrum? A: Being CEO of a company like Spectrum means a 24/7 dedication to the people we serve. With something as important as healthcare, there’s no “off” switch. But when I do find myself with a little free time, I dedicate it to my family. And maybe movie night on the couch with a huge bowl of popcorn. Congratulations, April! And thank you for your commitment to improving the quality of life for those in our community.